I wanted to use a stronger word there, but I’m a pastor and stronger words have consequences. Some interpreted it as a post of frustration (that’s partially true) but I was trying to make a larger point about feedback. Some of it is legit and some of it is crap. But if we automatically dismiss everything as crap, we end up missing the stuff that could actually help us improve. I’ve been replaying that quote in my head as a reminder to keep listening. Feedback is usually something we don’t want to hear because much of it ends up being unfair, off-base or poorly given. It’s easy to dismiss all feedback as bad feedback, but leaders are those who do the difficult work of listening for the 10% that matters. Stone & Heen explain that the way we respond to feedback sits at the intersection of our desire to be loved and accepted and our desire to learn and grow. We know we need feedback to improve, but we don’t want to hear it, because what we really want is just to be appreciated. Managing this tension is the difference between those who make the necessary changes and those who maintain the status quo. The problem is most of us are poorly equipped to manage this tension. I know I am. My ego and emotions get in the way and I get defensive. It’s hard to listen to good advice when I’m busy crafting a good rebuttal. That’s why I need a trusted friend to help me process and sort through what I’m hearing (or not hearing). This is something our ministry staff try to do with each other. 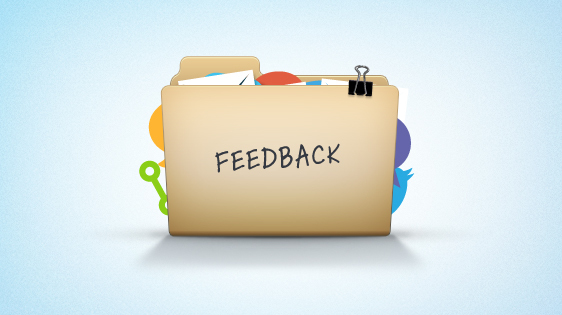 The church world is rife with feedback (some fair, some unfair and some downright ungodly). So when we receive it we take a moment to vent, cool-down and reassure each other that we’re not doing nearly as bad a job as we’re now telling ourselves. Then we process. It’s not easy to ask these questions, but it’s incredibly important. Dismissing feedback outright may help us feel better about ourselves but it doesn’t help us grow. Processing it helps us become better leaders and better people. It reminds us that we’re not perfect and none of us are above needing feedback. When we take the time to listen, we take the time to learn. And when we time the time to learn, we take the time to grow.